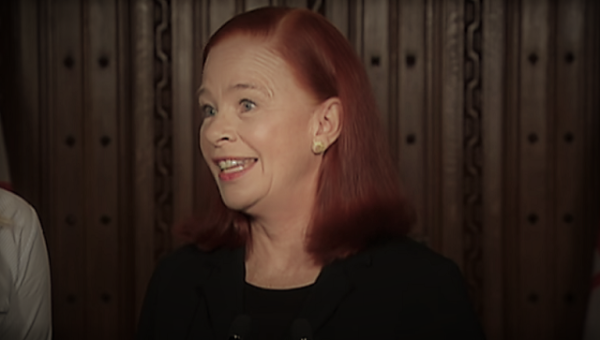 Catherine Tait – the Trudeau-appointed head of the CBC – made an absolutely absurd and crazy comparison while speaking to a media panel. Absolute Drivel. And an insult to anyone who was oppressed under a colonial regime. This idiot equates entertainment as culture. They are not the same! Not a surprise Trudeau doesn’t hire anyone who is smarter than him. That said, it’s not a high bar. My Dad always said to ignore what people say and pay attention to what they do. The fact that she said a bunch of stuff and insulted a bunch of people is immaterial to me. The fact that the CBC is serving the interest of ALL Canadians in a progressively worse manner and in a measurably worse way speaks to her abilities to run the CBC. Or failure to run the CBC. This is the beauty of Trudeau World. He takes credit for anything good that happens (broken clocks correct twice a day), I get to pay for his mistakes. He Preens, You Pay. Well one should not try to judge people by how they look, but sometimes it’s easy to see and she looks stupid and crazy. Why would drama teacher Trudeau NOT hire her as head of CBC? Look I don’t buy Netflix as George Soros is a major shareholder in it but THAT IS MY PERSONAL CHOICE! Others can buy into it or not for their own reasons. As to CBC, PRIVATIZE IT! It is no longer needed as a government run bureauctratic shithole network that bleeds off $1.6 B of tax payer money. It’s a big boy now, it should stand on its own in private competition. While we are at it KILL THE $600 M Subsidies used to buy off the private networks for our clueless, anti-Canadian, anti-liberty, self-loathing PM. The ‘left’ is on a mission to control broadcast media. Case in point: CKNW is currently running ads by the BCGEU (govt employment union) and the BC Teachers Union, two of the more militant unions in BC. How can NW now objectively report on these unions with the threat they may pull their ad dollars if the reporting is not in their favor. It’s a subtle maneuver by the left but it has not gone unnoticed except to NW. The rational behind government owned radio and TV was Canada is a vast country so we need to service remote communities that cant put a TV antenna on their roof. Satellites have replaced the antenna. Never mind privatization of the CBC just pull the plug. The current government can just buy ad time on any one of a number of for profit carriers. The BCGEU ad is particularly offensive. The ad states that the BCGEU is fighting the good fight to end bullying in the workplace for all British Columbia. What a load of crap. Thankfully the BCGEU has no jurisdiction beyond the public sectors that come under their jurisdiction. Yet they feel the need to tell every worker in BC that the BCGEU is looking out for them. News flash the BCGEU has contract language that allows for grievances to be filed in cases of workplace harassment. Maybe Ill threaten my UNIFOR rep that I dont need to belong to his her union as the BCGEU is looking out for me. Better yet the next time a non union burger flipped is told that he /she has to stay late or wont be scheduled they should call the BCGEU and ask for help. As far as NW goes they would take ad dollars from anywhere without any conflict concerns as the Shaw Corus group is only concerned with bottom line. I love the ads on NW for a company called “FULL MAST” They even have a count down to “LIFT OFF”. we have lift off. Erectile dysfunction. Classy ads NW very classy.